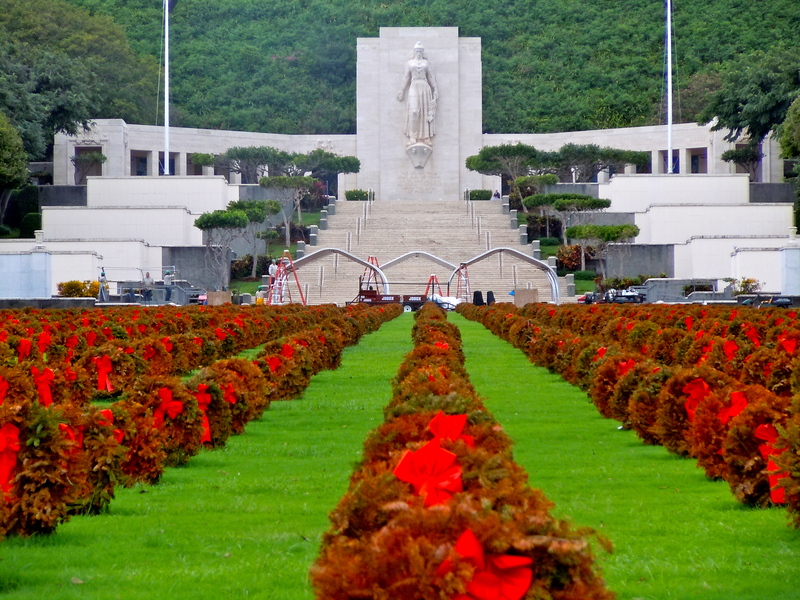 It took my friend Della who lives in Oregon to send me photos of The National Memorial Cemetery of the Pacific (Punchbowl Cemetery) to find out about the placement of some twelve hundred and eighty eight Christmas Wreaths on Veterans graves. They had been placed on the graves on December 4 but I did not find out until Christmas day. I went today to photograph them in hopes that they would still be there. They were. A bit faded for the sun but still beautiful and touching non the less. 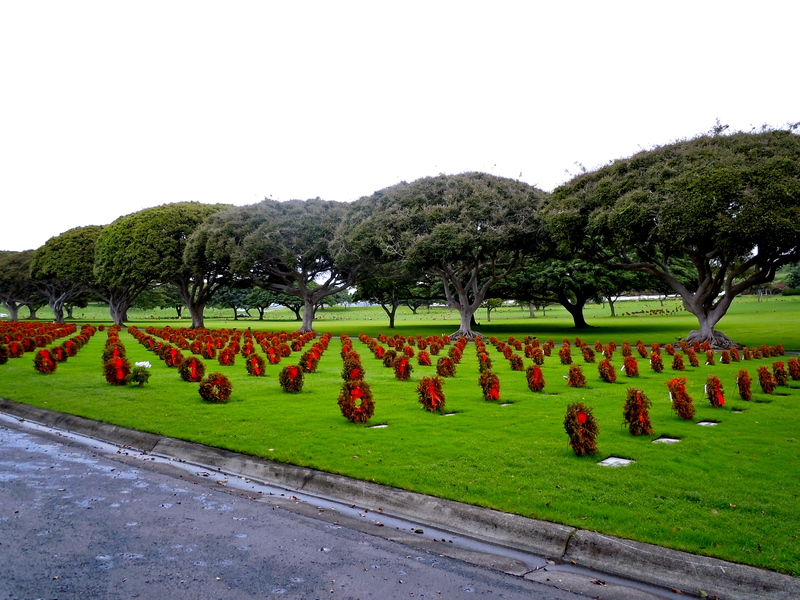 I had been walking throughout the cemetery taking photos when in the distance I heard taps being played. I thought maybe it was a recording that came on with all the displays that were around. Then I saw one of the workers remove his hat and stand at attention. I noticed off on a knoll a fueneral in progress. I was suddenly slammed back to reality. As beautiful as the wreaths were there would never have been a need for them had it not been for the sacrifice of thousands here buried. I remember when I was married and my husband telling me how his father worked around the clock in Punchbowl never being able to take time off. They had so many bodies to bury during the bombing of Pearl Harbor that his father said they slept in coffins when ever they had time to catch a few winks. You are looking at only a little over a thousand bodies where these wreaths are placed. 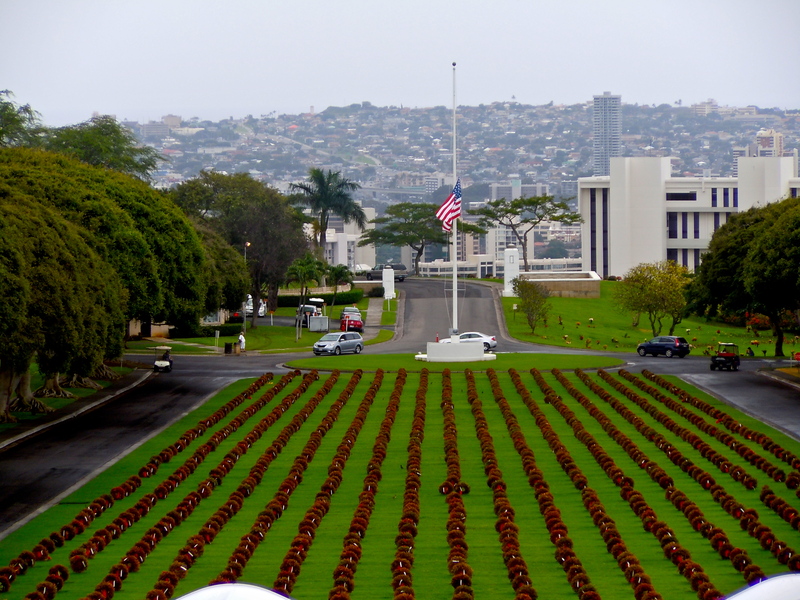 The cemetery spreads out over what seems like miles with the buried Veterans not covered by the wreaths. 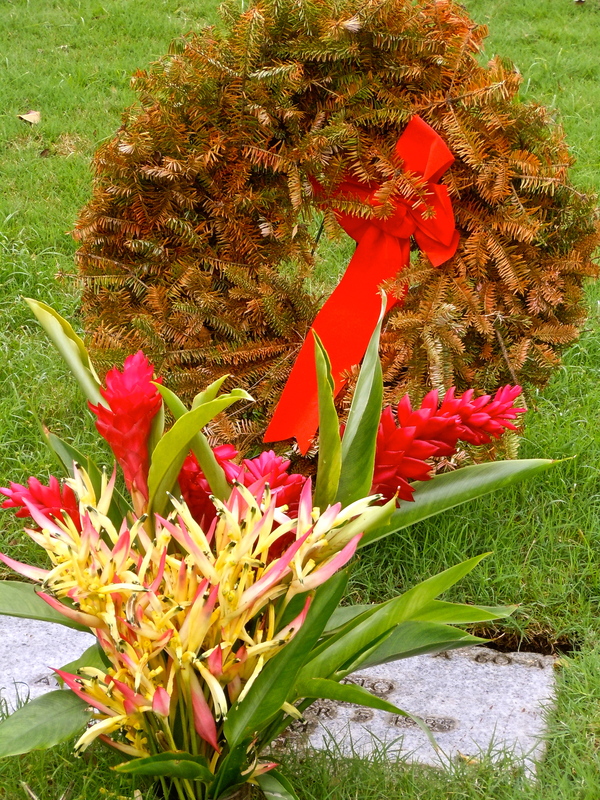 As I stopped to look at two closely placed wreaths I noticed that they were the graves of a father who had fought and came home and a son who fought but did not. It was touching and sad. Looking all around me at such beauty and such waste. All the sacrifice, all the tragedy. The millions of tears shed, the emptyness and loss. Why? Why does man have to be so greedy. Wars are fought over greed. Nothing more. When will we learn. All the beauty and all the wreaths in the world will never cover that over. But for one moment the beauty of all those red ribbons reflecting can make you forget, can make you grateful that somebody cared. 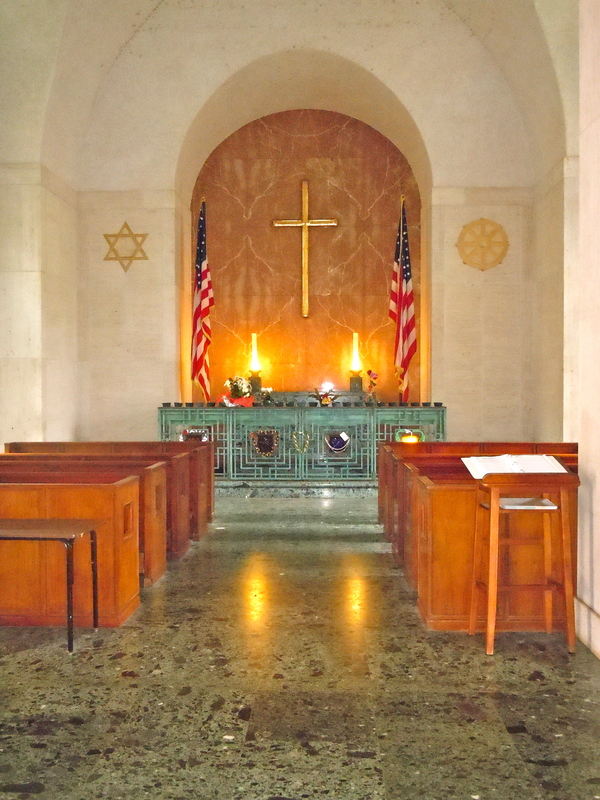 You can go to this site if you would like to read more about the placing of the wreaths. 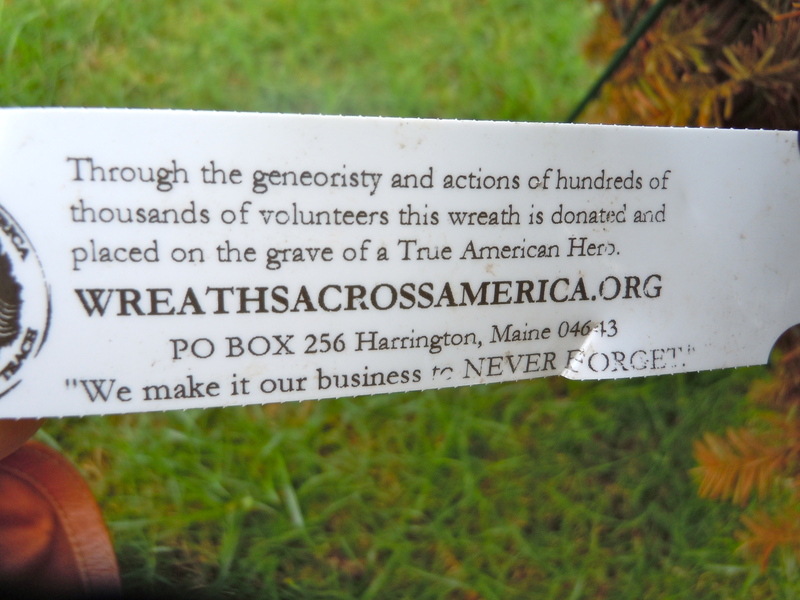 Wreaths Across America. My computer is allergic to milkshakes. It went from computer to compuker in a matter of minutes. It refused to talk to me and would only spit up dots. It had lost all it’s letters. My fault. I was upset because I did not read the fine print on a warranty for my pocket camera I ordered from Amazon. It was supposed to cost $6.00. The postage turned out to be $20.00. After reading the bill I went in to a rage and pulled my milkshake off the table and it dropped out of my hand and on to my computer. Yes, I know. Don’t have any liquids anywhere near your computer. But like many who have gone before me I thought I was invincible. So what could I do? 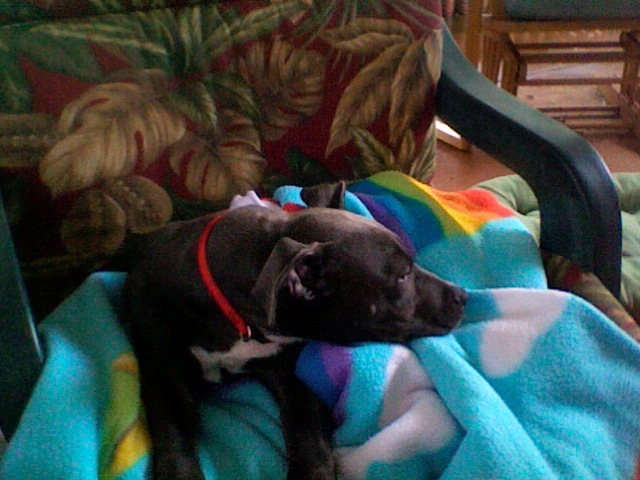 I calmed down after an hour or two and a night of no sleep. Went to see my friend who repairs computers and found out that I could replace the keyboard and all would be fine. The next few days I thought about it. How much could I accomplish if I had no computer at all? It turned out I had a lot of time on my hands. Enough time to do more photography, sewing and gardening and yes, cleaning the house, cooking and dog care. As I took out my new camera to experiment with it, suddenly a light went on in my head. Where was I going to put all the photos? Both my cameras are digital and I like to manipulate the end product on my computer! So I bought myself a very nice Christmas present. Yes, a new computer. I must admit I never thought buying myself something for Christmas would be so rewarding. I was actually gitty about it. How is that? I knew what the present was but getting something that I really want and a camera to boot was almost euphoric. I found myself so happy with my present that I’ve actually been thinking what will I get myself next Christmas? Oh the possibilities. But I have to say, getting what you want for Christmas is priceless. At least until the bill arrives in January. 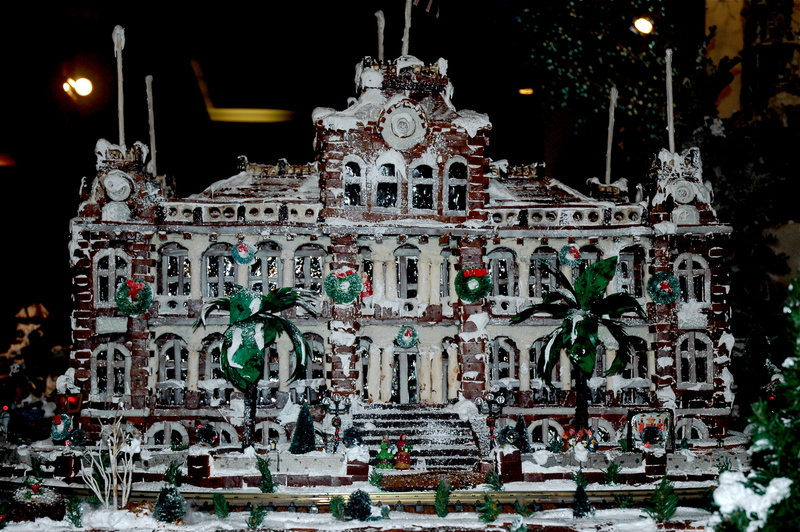 I am including the photos I took of the gingerbread house that was built at the Princess Kaiulani hotel. I know it is late and just about out of season but, hey, my computer was sick. This is more a village then a house and quite elaborate. You can click on the photo if you want a closer look at this village. 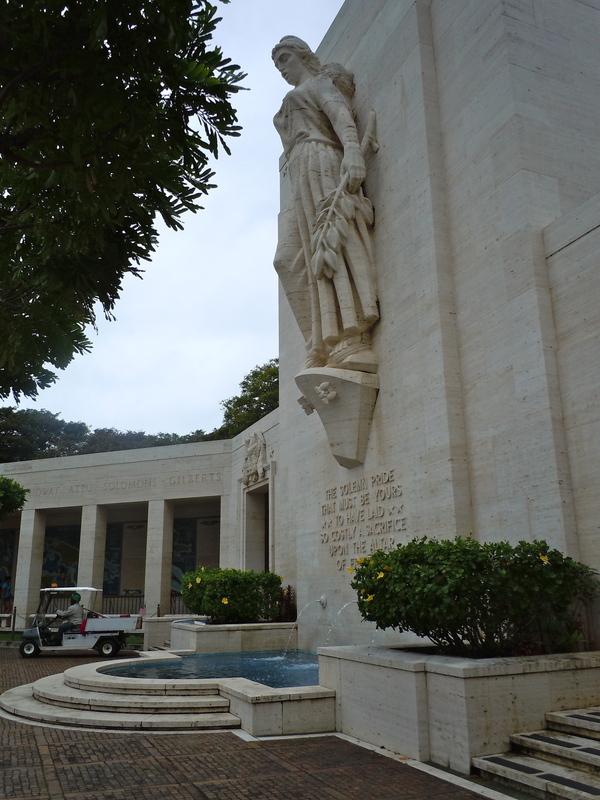 It is not a likeness of Honolulu that I could tell but it does have some of Hawaii’s buildings. Just think, no one will ever eat any of these houses though they are all made of gingerbread. 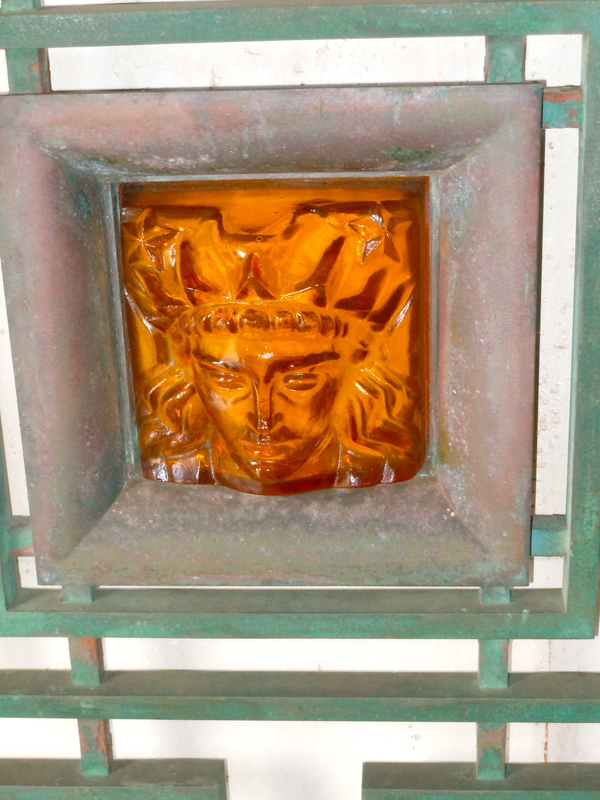 This is a likeness of the only palace in the United States. 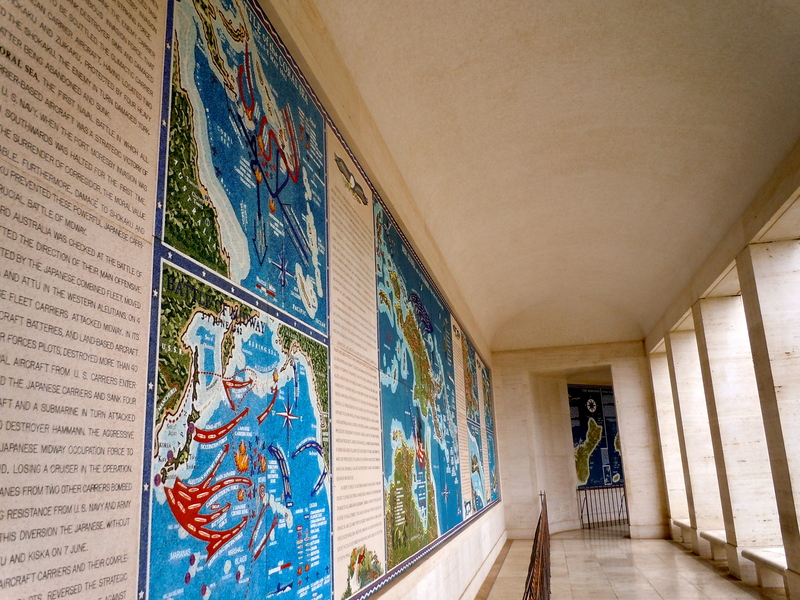 It was where the Americans imprisoned the last reigning monarch of Hawaii. Queen Liliuokalani. Well, we have rain, at last. Lots and lots and I’m loving it because now I don’t have to stand outside and water everyday for 30 minutes. But alas, it is not snowing. 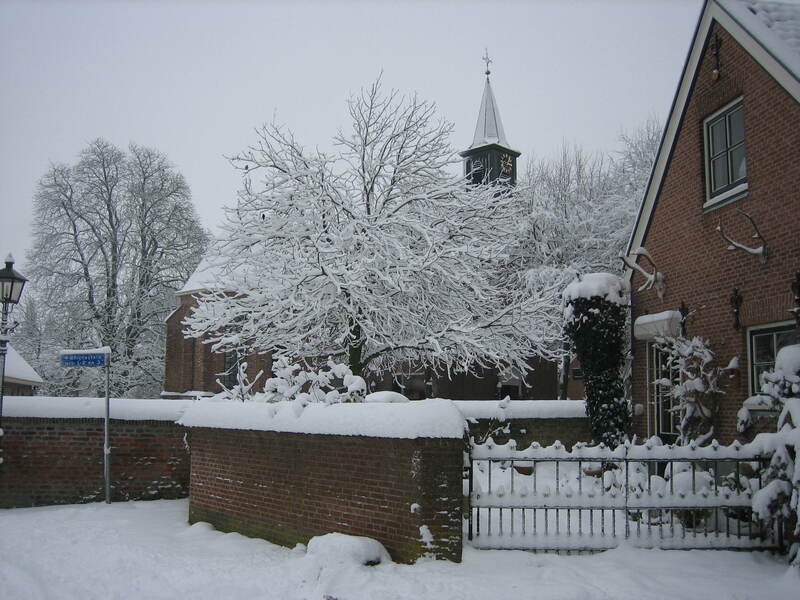 My friend Annelies sent me some photos of her area in Holland. 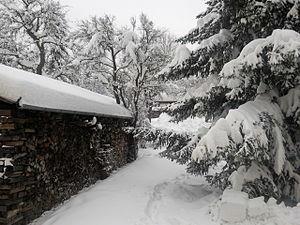 The last time I was there it only snowed enough to hit the ground and melt. I was so disappointed. But this year it is covering everything and I’m sitting in the rain. I’d love to be sitting with a bright red snow suit under this tree. Thank you for sending me these photos Annelies. 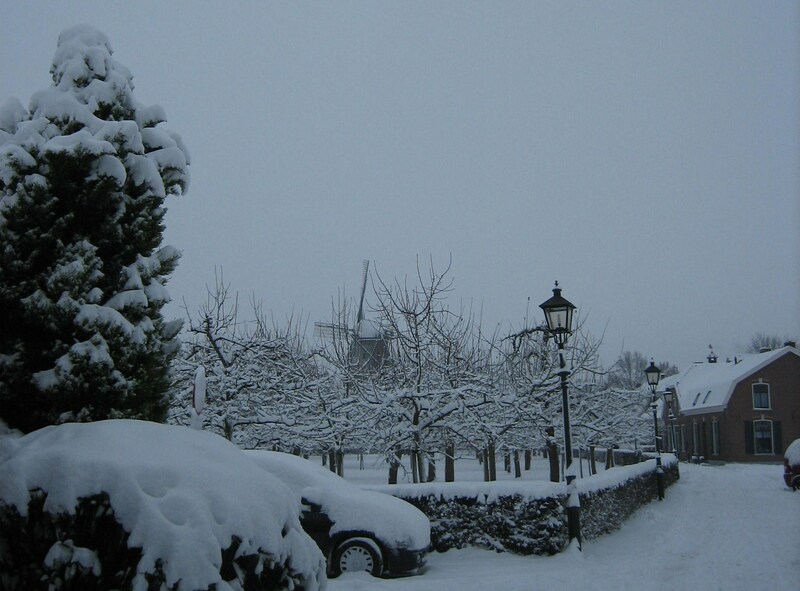 I hope to make it back one year for the snow and those winter markets. Those were the best. The rain is shining the leaves with small crystal drops. The temperiture is probably down in the low 60’s and I’m sitting in my yard with my sweat jacket and shorts on. Ka Mea is wrapped in a blanket and Max has his fur to keep him warm. After all he is a sheep dog and Quite comfortable in this cooler climate. 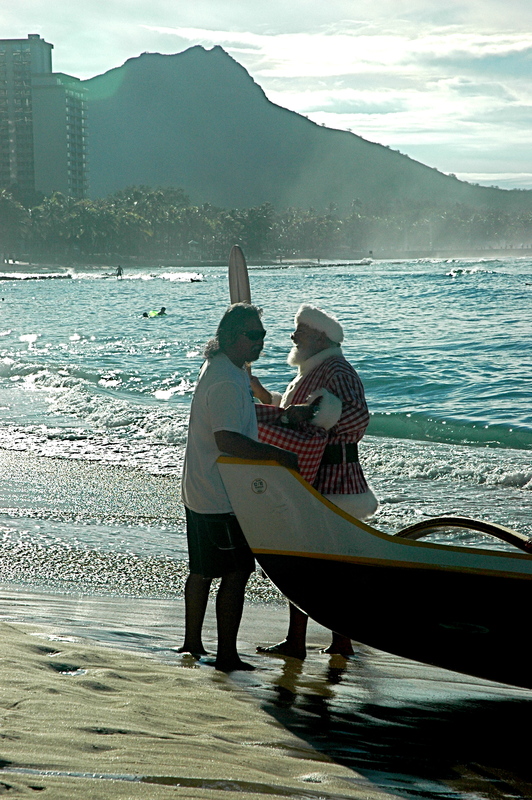 It was uncomfortably warm last week when I went to Waikiki to take these photos. More of a typical winter day. 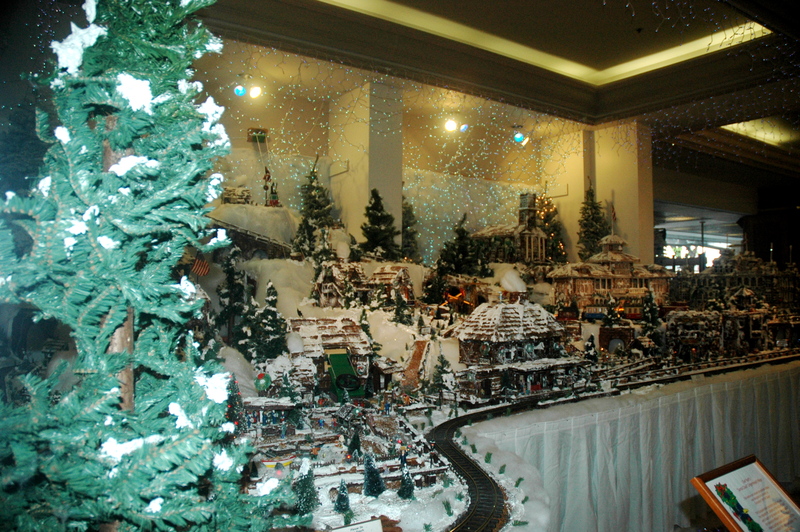 So I continue on with Christmas in Paradise and how some of the hotels put on their displays or lack there of. 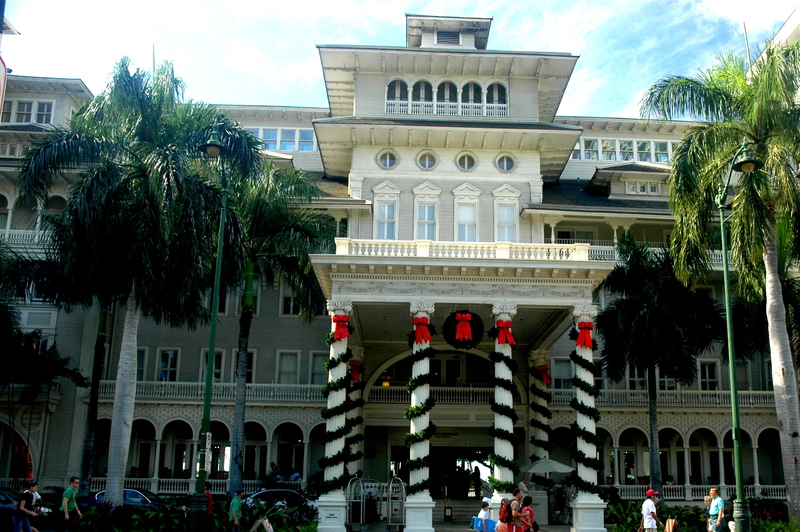 The Moana Surfrider and the Royal Hawaiian are really the only two hotels that have any beauty to them from the outside. 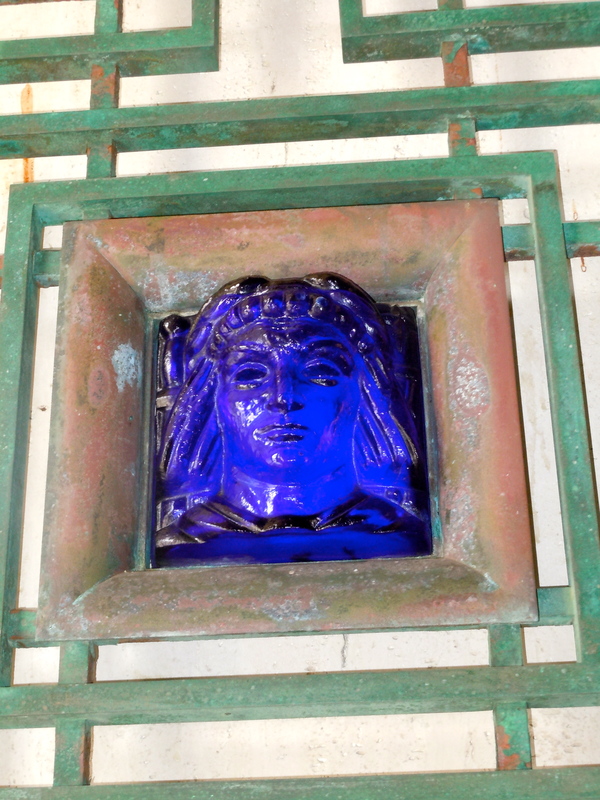 They are the oldest hotels in Waikiki also and were built before the cement jungle set in. 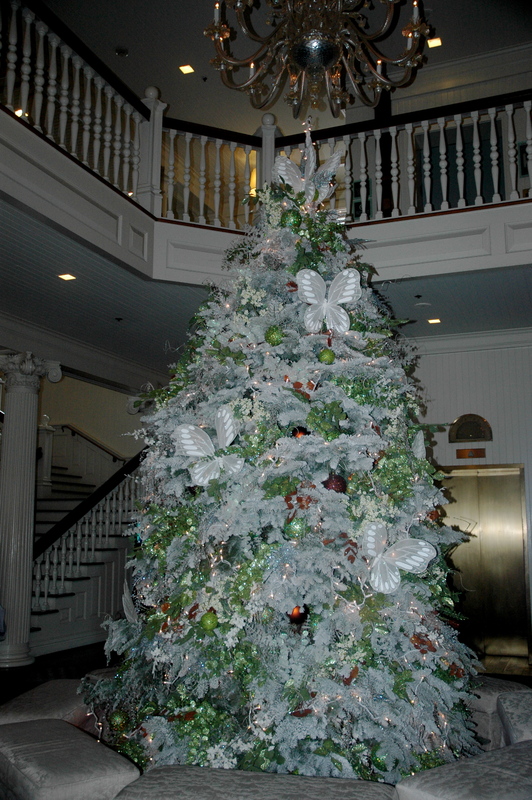 This tree is in the main lobby right as you walk in. It did not seem to have a Hawaiian theme to it. I went in surch of more Holiday decorations but only found a Palm tree. This was their Hawaiian theme. 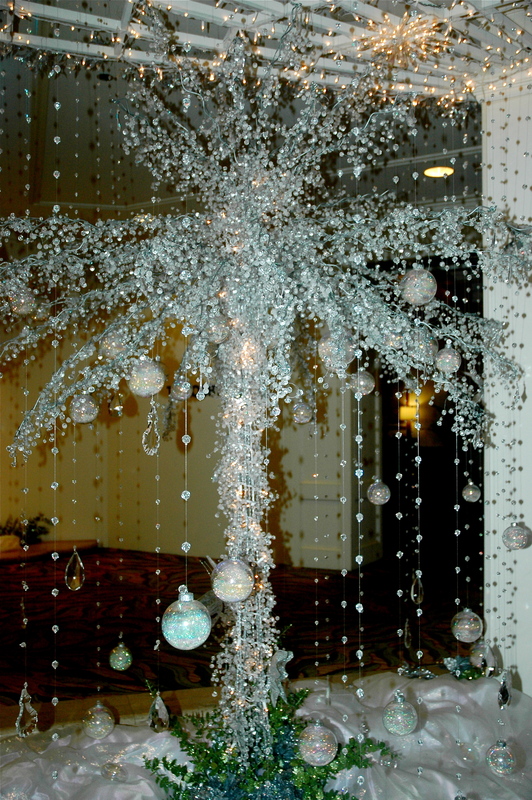 A palm tree Christmas tree. As I searched around for more Christmas decorations this is what I saw. 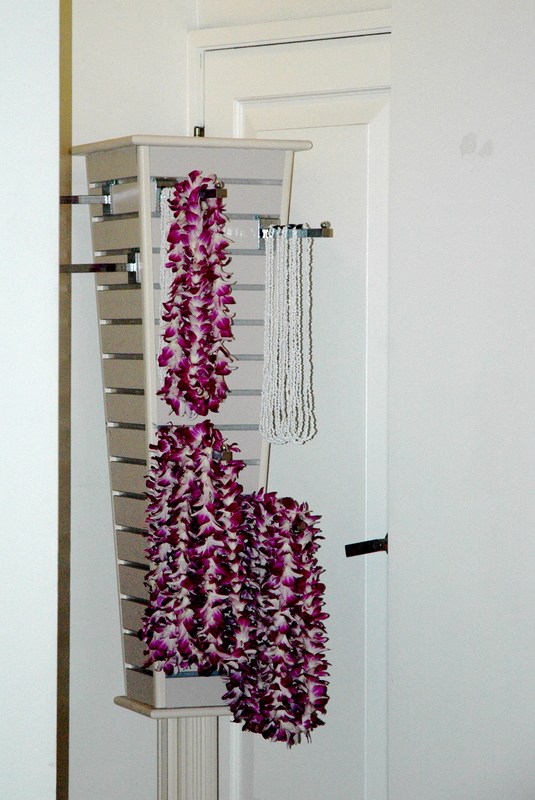 A closet where they hang the leis to greet the guest. Hopefully they are from the islands but most of the orchids now used in leis come from Thailand . (http://www.amysorchids.com/) The flowers are to expensive here. But somehow that just does not seem right to me. Plumeria leis which have a wonderful scent to them grow so easily here and really seem more Hawaiian would make a nice alternative and support the local growers. Why do they use orchids? 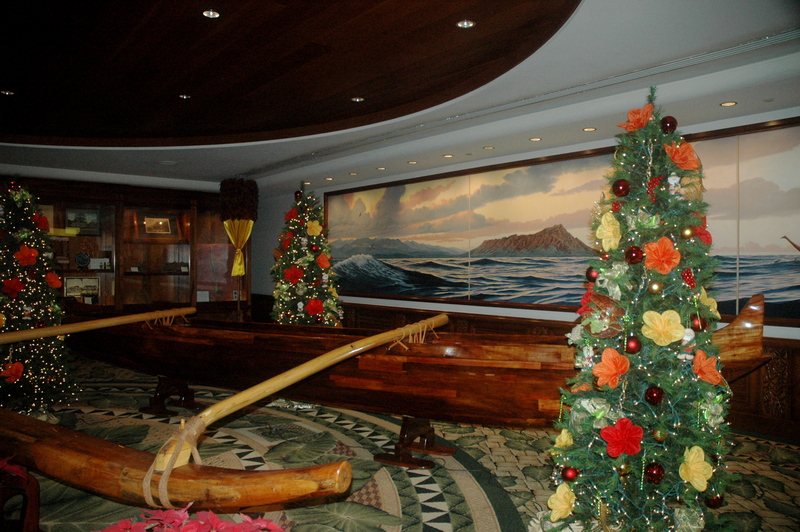 And once again I find the obligatory Hawaiian real or fake artifacts on display in the Moana’s lobby. I tried to find the information on what they had here but I must have missed it. 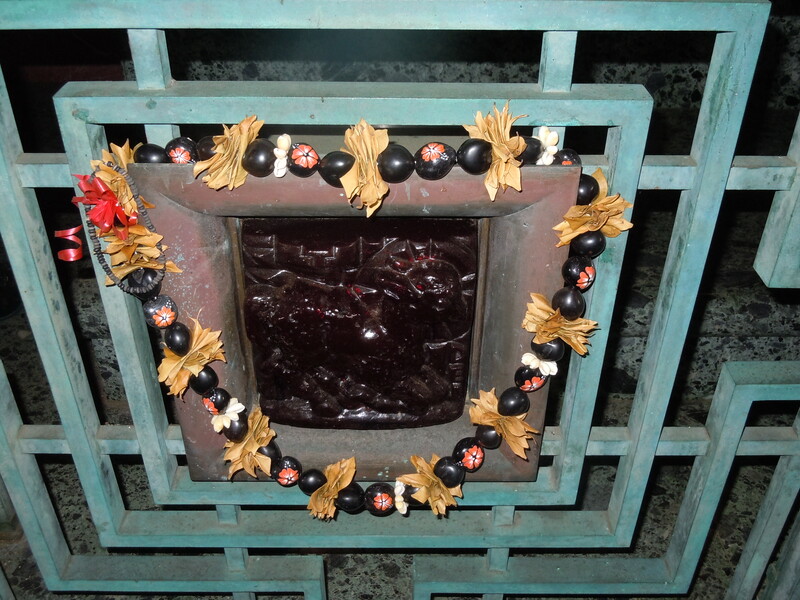 From appearances it looks like a gourd, an Umeke and a piece of Kapa. If you want to know all about these items you should try to take a trip to the Bishop Museum where they have many on display and tell you all about their uses and how they were made. 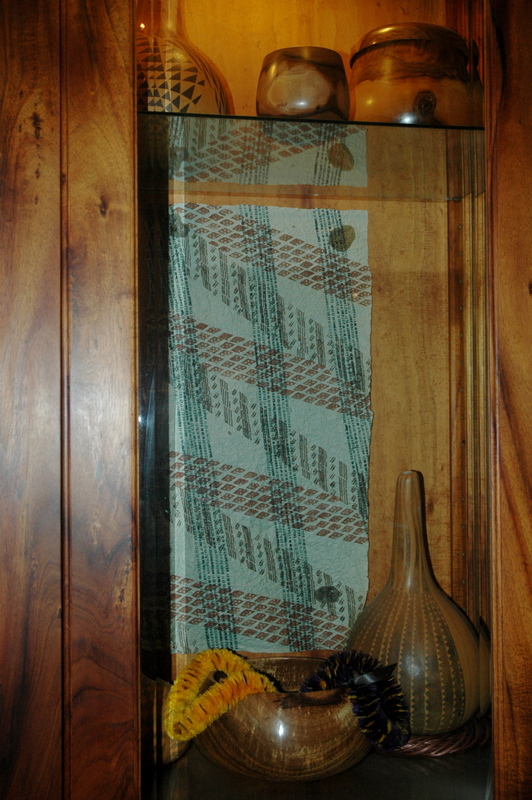 An Umeke is a bowl that is made of wood and Kapa is the cloth that the Hawaiians made from the bark of trees. Gourds were more commonly used by the everyday Hawaiian for carrying things in or maybe for bowls for food or to eat out of. The umeke would more likely be used by the upper class or Alii. If you are fortunate enough to be able to stay at the Moana this is a fine way to spend a winters day thinking about all your pals back home fighting the elements as you dream away in the 80 degree weather. As we leave the Moana Hotel I head down Kalakaua Ave. 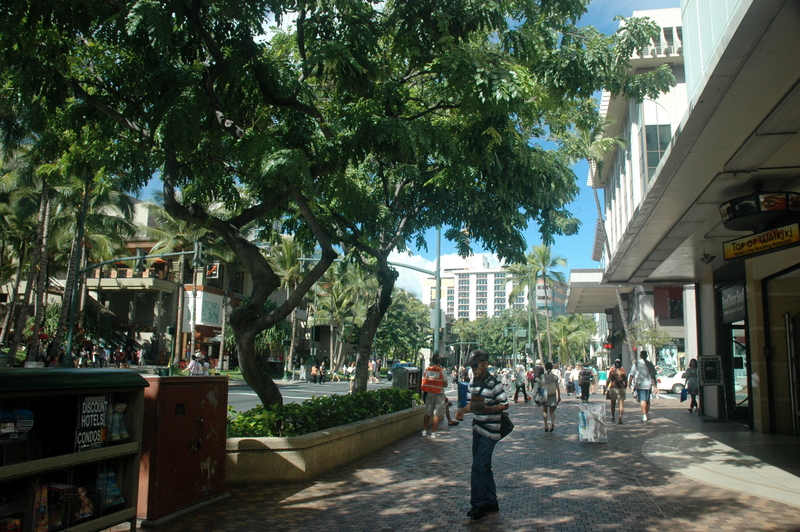 This is the main drag in Waikiki and is more what Waikiki looks like. No ocean view, all the Palms and beaches have been dug up to put in imported trees and brick sidewalks to try to fancy up the place and detract from all the cement buildings that surround you. However their still is the nice weather. 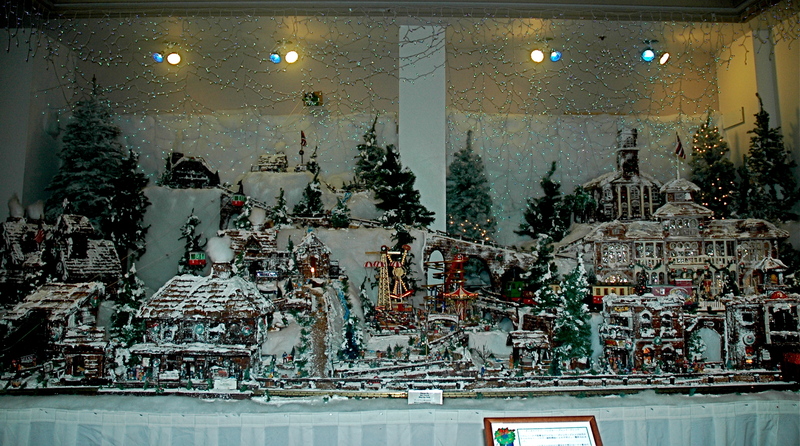 My next post will be at the Princess Kaiulani where they put up a huge display of gingerbread. I think it is time I get back to posting about the museum. 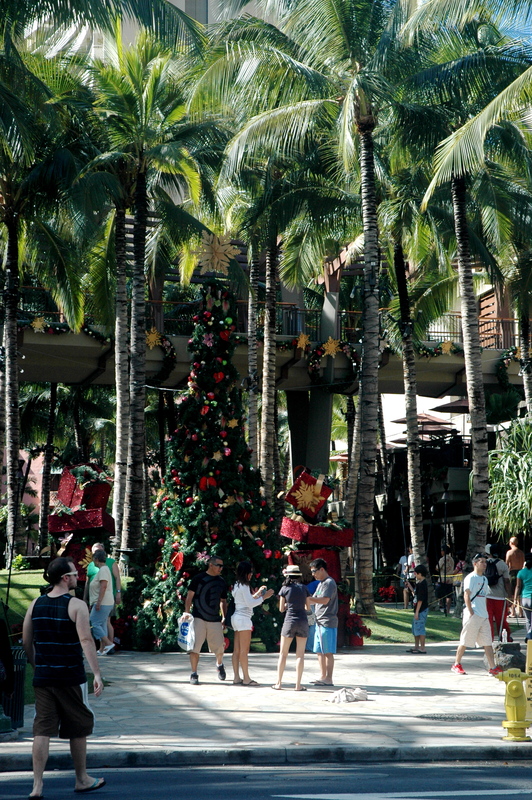 Very little Christmas there but lots of the real thing as far as Hawaii goes. In today’s economy I think there are some things that one should not brag about or admit too. 1.What extravagant gift you are going to give to somebody. The Topic on the talk radio I was listening to was, what gifts to give in today’s economy. The first thing the guest speaker said was, he had best get something that will sparkle even though his wife has lots of items in their deposit box at the bank. Meanwhile I’m figuratively sticking my finger down my throat and saying to the radio, come on guys people are worried about where their next meal will come from and you guys are bragging about your pay checks. What kind of gift suggestions are those? Then they suddenly came back to reality as if they remembered what the show was supposed to be about. What were the gift suggestions? Wine. What would be the best wine to give as gifts. If I had had a gun I would have shot my radio. This is a political commentator who is supposed to be in touch with the world. But at that point I was not sure what world he he was in touch with. 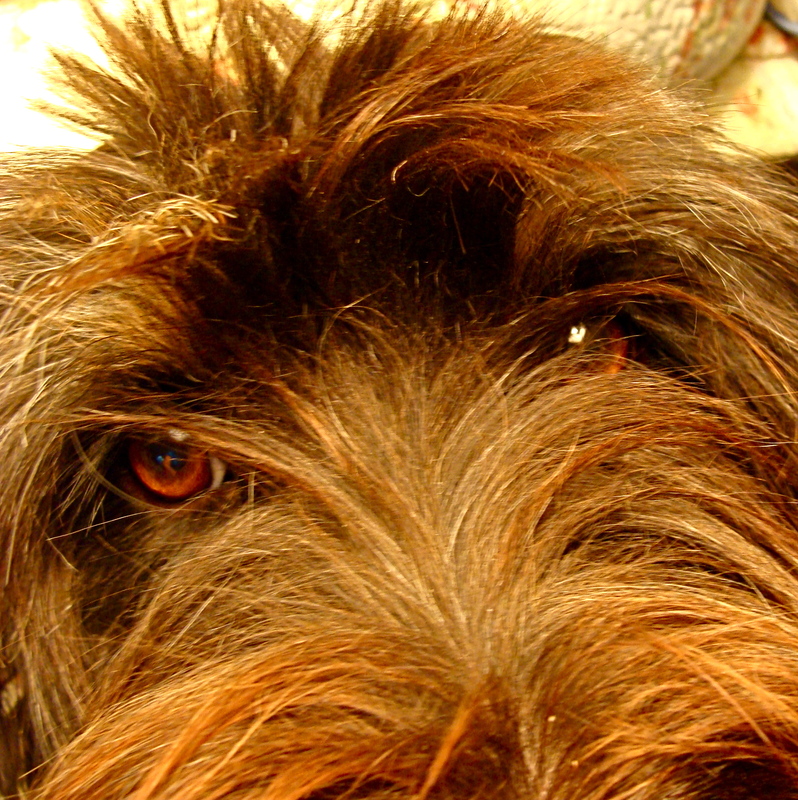 2.What trappings you buy for your dog. Then the other morning I’m sitting and reading the paper and see this article heading “Owners don’t skip on presents for Fido.” And there is a photo of this little dog wearing a crystal Necklace and a Couture dog gown. What kind of stupid, disgusting person would admit to spending that kind of money on a dog when so many people are hurting right now? It’s a good thing they extended the tax break to the rich again or these poor dogs might be reduced to their own fur and bowls of silver instead of gold. 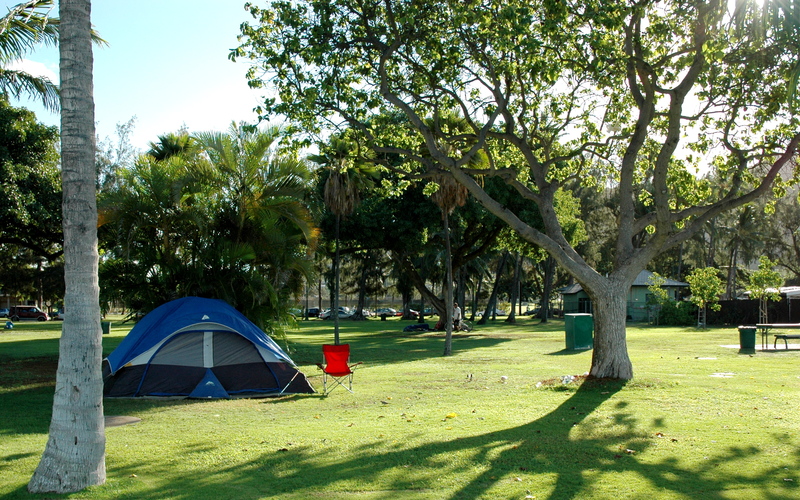 Here in Hawaii we have lots of homeless living on the beaches. Yes we have the derelicts who would rather drink and do drugs as homeless but we also have married couples who work and have kids, old people who can’t afford a house on their social security and single parents just trying to get by while unable to find any better job then McDonald’s. They struggle day to day trying to keep it together along with those who are disabled or kids who go to a schools that have no cafeteria and the only place to sit down and eat is on the ground or in the bathrooms. Yes, in the bathroom. They have to share text books and often times can’t even afford rubber slippers and come to school with them taped altogether. Yes, these are a few of the problems just here in Hawaii and I am not even touching on the others states. So you can imagine what I felt when I was listening to a guest on public radio talk about how she chooses to put her money from her organization to helping people in other countries. Insensitive people with pampered pets while children tape their shoes together and people who brag while others go without need a reality check. If you want to wallow in your wealth keep it to yourself. Don’t brag about it. You don’t have to prove to us how useless you are, we already know that. The only thing I have to say to them is, bah humbug! My friend in Wisconsin wrote that it was 20 below last night. There is ice and snow everywhere. I can’t even imagine what that must be like. You really have to keep your cabinets stocked with weather like that. But I would still love to experience it. But there is a caveat. I would only want to experience it if I had a totally stocked food pantry and all the craft items I needed. Of course there would have to be cords and cords of wood by the fire place and enough money to pay an enormous heating bill. Hmm doesn’t sound like I want the cold but maybe a photo of snow on my windows. That would be my version of being snowed in. If I’m not going out in the freezing cold (I’m no idiot) and the house has to be as warm as Hawaii, why move to a winter climate when a photo will do? That’s the ticket. 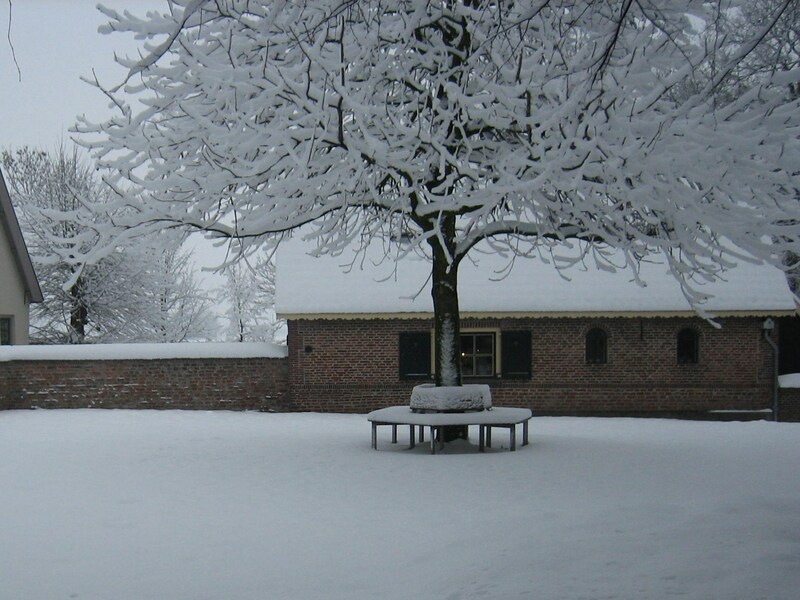 Let it snow, let it snow, let it snow. But when I open that front door I want to go to the beach. This hotel was a little more festive then the Royal Hawaiian. 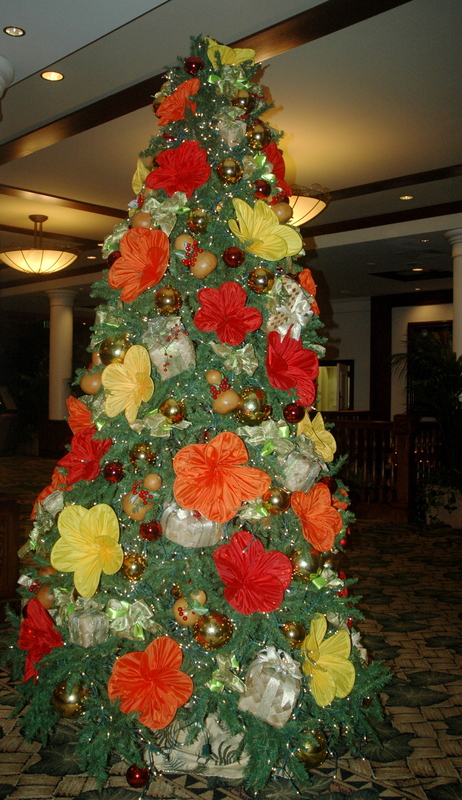 I loved all of the hisbiscus that decorated the tree. Exactly which Outrigger I was at, I am not sure. 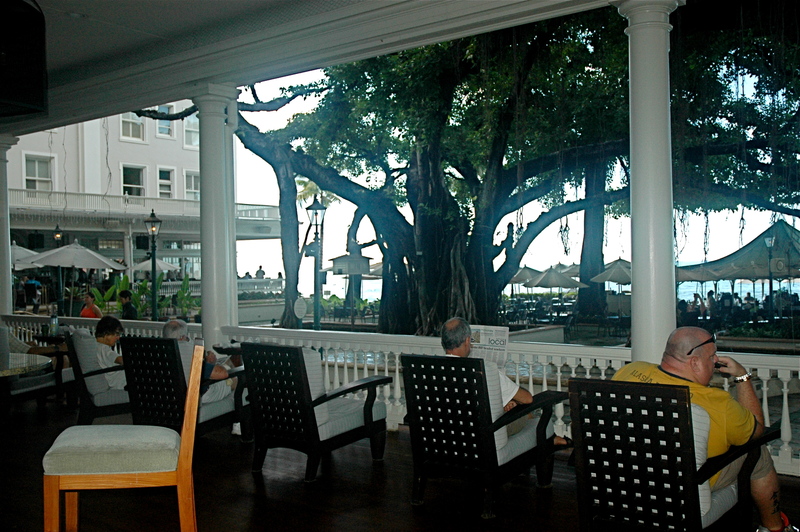 I identify it as the Outrigger where I can sit and have breakfast and look out to the ocean as the photograph in my last post showed. 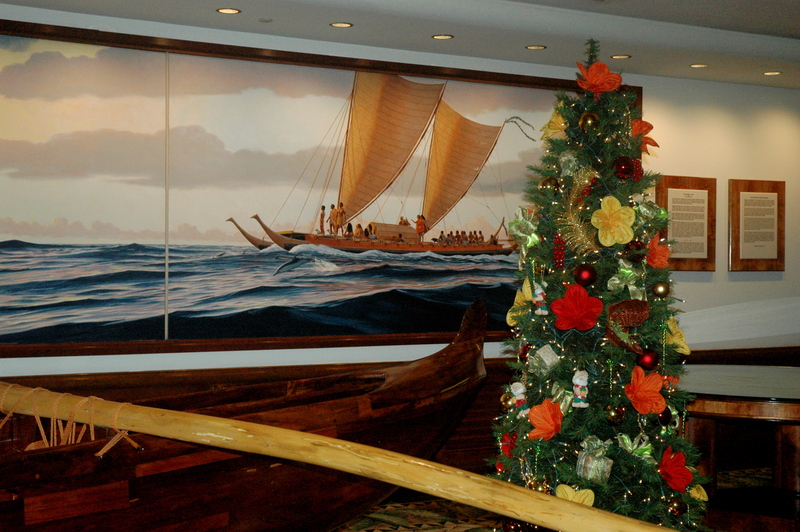 Here an Outrigger canoe is incorporated into the Christmas display. It seems fitting. The hotel industry likes to put out “Hawaiian” displays to give you that “Your in Hawaii” feeling. Just like the Christmas trees trying to give you that “Christmas” feeling. Neither work in my estimation but they are nice to look at. When ever I can I try to encourage people to leave Waikiki. It was once the playground of the Alii (Kings and Queens) but thanks to the corporate world they have destroyed the wave action in that area and have had to bring in sand to replace beaches that are washing away and are trying their best to landscape between all of the cement jungle to try and bring back some semblance of Hawaii to greed gone haywire. Again, I think of the Eagles song, where they say “call someplace Paradise and you can kiss it good-by. If you double click on the above photo you will get a better view of the painting. Many people don’t realize that due to excellent navigation skills the Kanaka Maoli (The People) as the Hawaiians called themselves, purposely set out for the islands. They were not blown off course nor did they just happen upon the islands one day when they were out fishing. Of course there isn’t anything to indicate this in the hotel. People will just look at the canoe and maybe will connect it to canoe races or beach boys. But as is shown in the painting the Hawaiians came great distances with every thing they needed inside those great canoes. Landing on pristines shores, devising a land system where all were dependent on one another and there was no such thing as greed. If an alii were to be harsh to his people and demand to much of them they had the right to move on to another area and under another cheif. This would bring disgrace upon the demanding one so it happened very seldom and all lived quite well. That is until the forigners landed. So here we are in a cement jungle with a few Hawaiian artifacts thrown in, real or not. Too bad we can’t kick out the ruling chiefs of today. 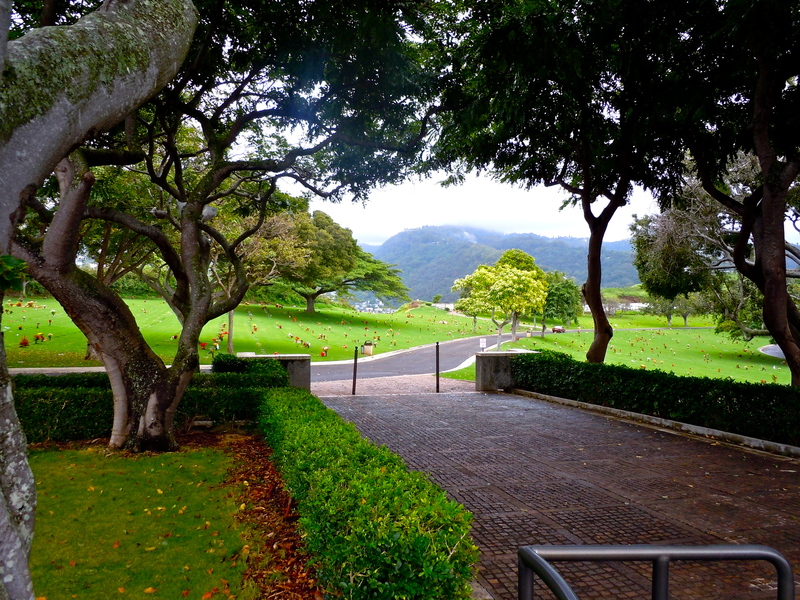 Well anyway if you do decide to stay in Waikiki do rent a car and drive out to the windward side. Take in the real green. The Koolau‘s. I will cover that on another day.